Jar Set With Spatula / 3 Pieces - 10 mL. - 0.34 oz. Jar Set With Spatula / 3 Pieces - 10 mL. - 0.34 oz. 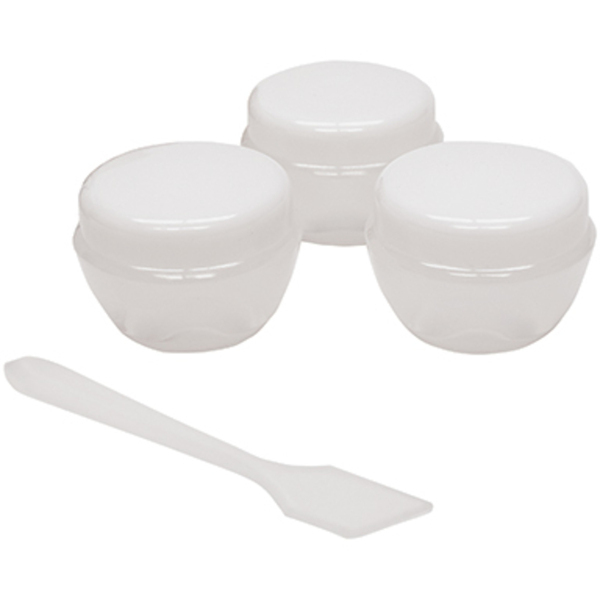 This set of 3 compact jars is perfect for storing cream, ody butter, moisturizer, foundation, and more while traveling. Includes a mini spatula, great for mixing and applying products. Each jar measures 1-1/2" Diameter.